Yes, we’re still here. It’s been a beautiful and moderately busy spring. I won’t attempt to catch you up to everything, but, instead, offer this photo series of the highlights since the last post. We also went to Granada, Spain a couple of weeks ago, but I think that’ll get its own post. Someday. Maybe. 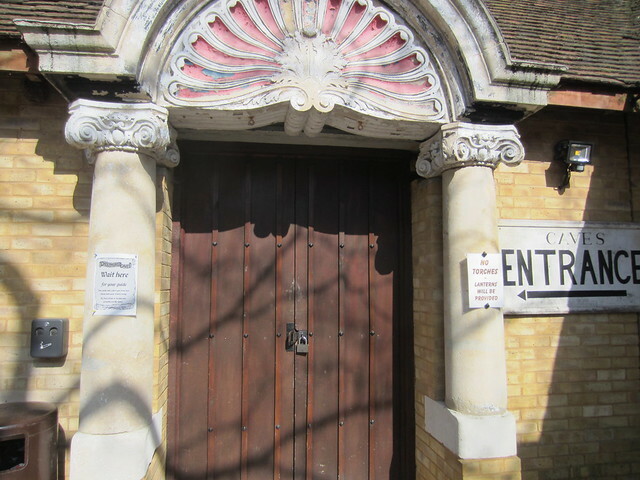 Entrance to Chislehurst caves. These flint and chalk caves were dug about 4000 years ago, and were used during the Blitz as a bomb shelter for some 15000 people in South London. This is the only photo I have, as, understandably, photography inside the caves was forbidden. 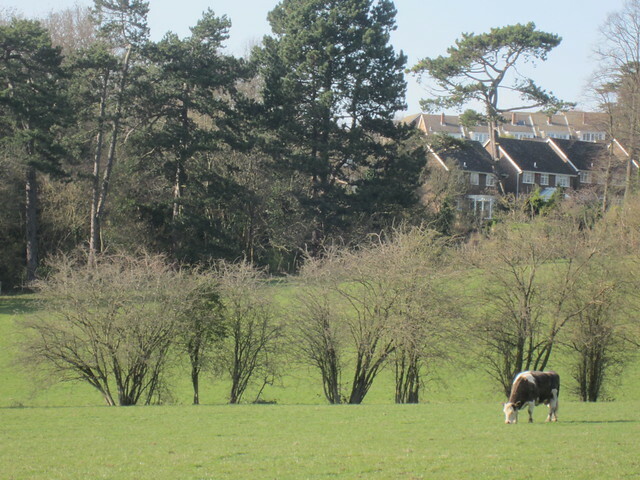 Cows grazing in the commons, near some housing developments. People are still allowed to bring their livestock to graze in any commons throughout England. A terrible shot of Glamis Adventure Park, in Shadwell (East London). It’s all made from reclaimed material. Kids are encouraged to be dropped off. 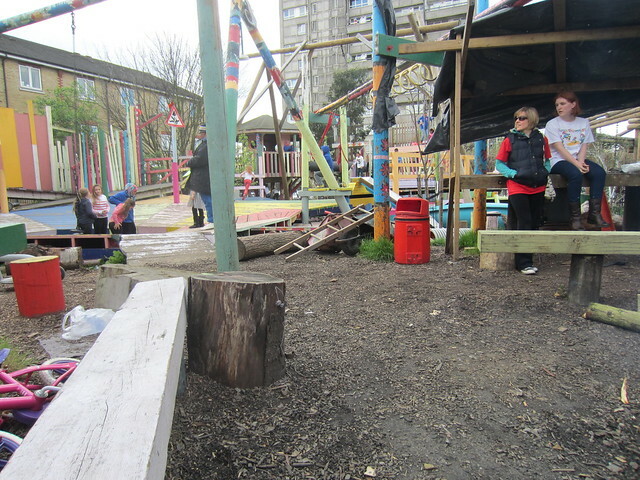 You can just see a bit of it on the right, but there’s a big, open fire there every day, where the kids are encouraged to roast food. There are a couple of supervisors on duty at all times. It’s free. They let kids wield sledgehammers to smash old pallets for the fire. There are ziplines and climbing things. Apparently, there are very few injuries. I love it. 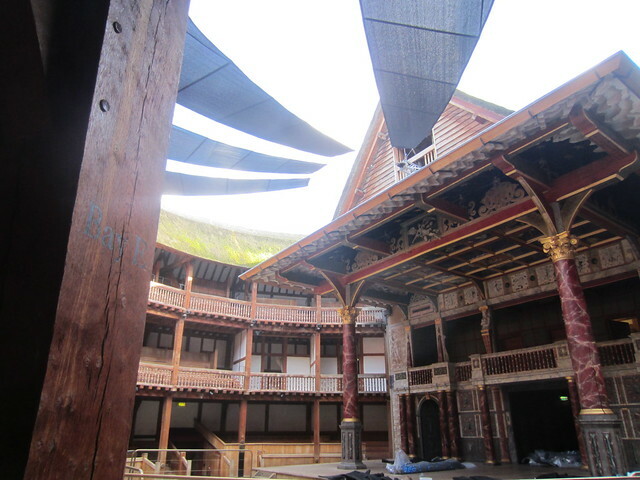 Globe Theatre, getting ready for Titus Andronicus, which is apparently so gory, people have been passing out in the audience. 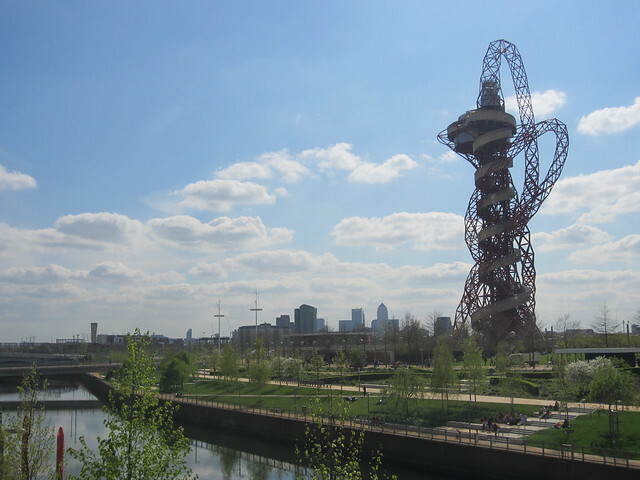 ArcelorMittal Orbit, Queen Elizabeth Olympic Park. The park, built for the 2012 Summer Olympics, just opened to the public about a month ago, and includes an amazing playground for the kids, complete with giant sandbox and water supply. The stadium and aquatic centre are available for use as well. Abbey Wood, in Southeast London. 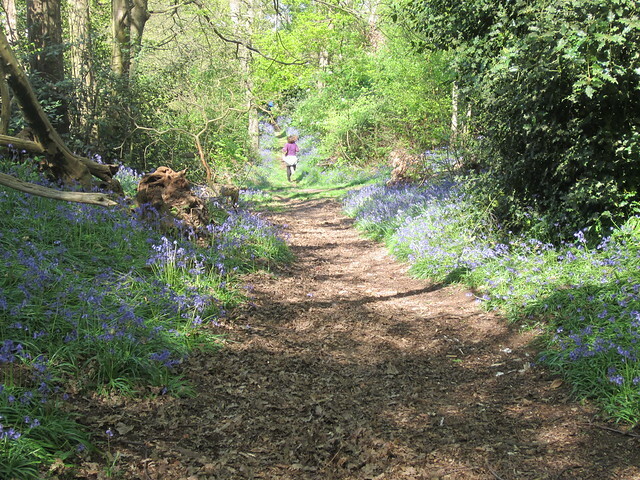 As well as the ruins of Lesnes Abbey, there’s a woods and a fossil bed where people are encouraged to dig. 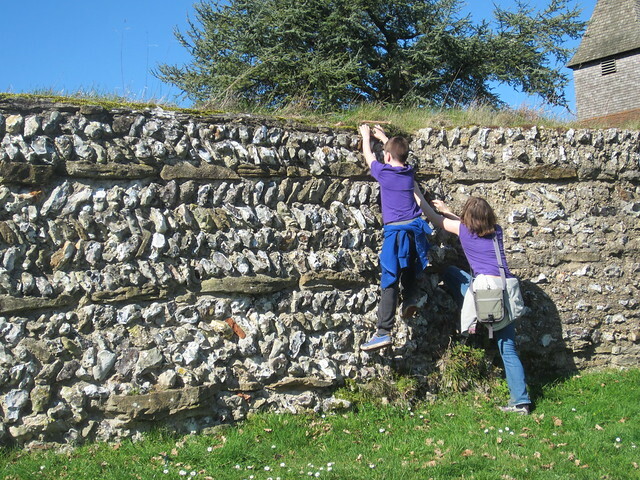 The kids both found teeth and unusual rocks there. 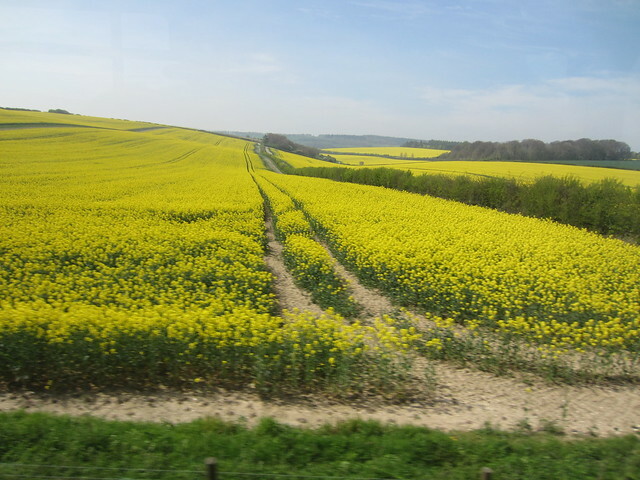 Rapeseed (or Canola, for North-Americans) fields near Salisbury. The picture completely fails to convey just how yellow the flowers were. A famous circle of giant rocks you may have heard of, near Salisbury. 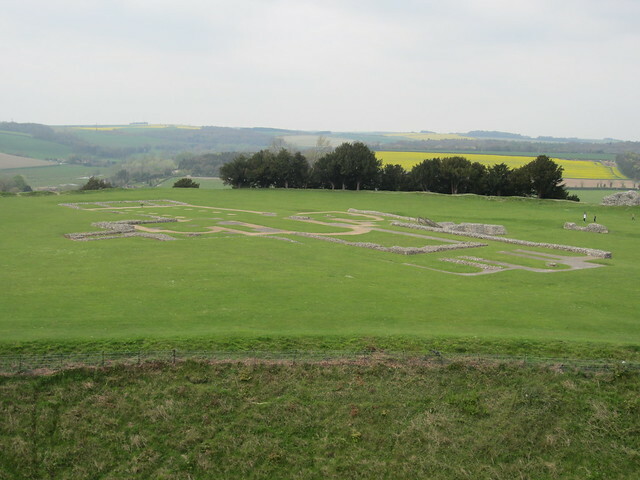 View out from Old Sarum, the ruins of an old settlement, near Salisbury. Cathedral ruins and rapeseed fields out in the distance. 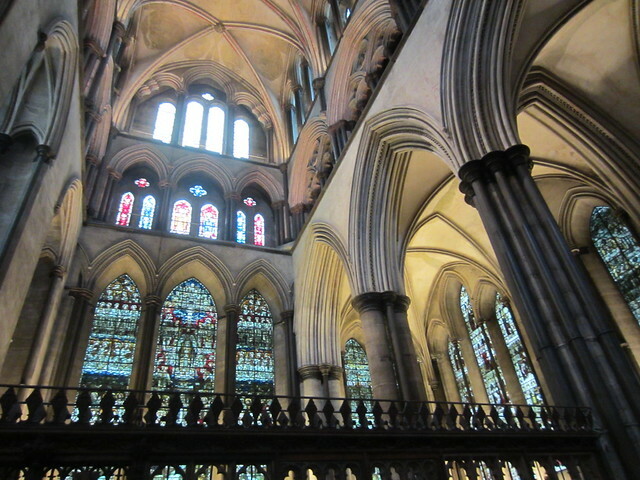 Inside Salisbury Cathedral. I think it’s my favourite English cathedral so far. I loved the pointy gothicness of it. 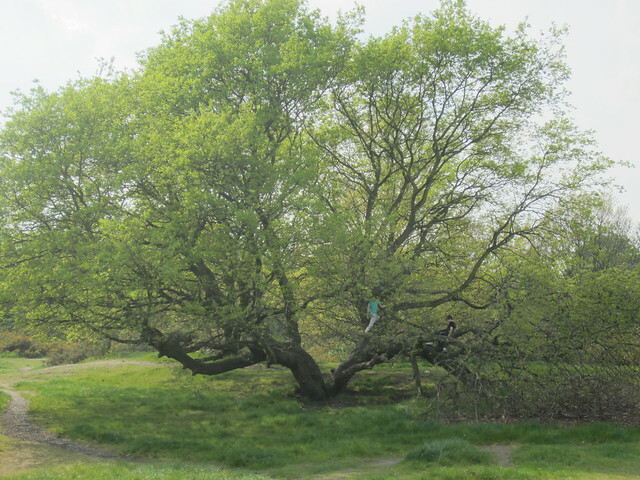 My kids climbing an old tree in Blackheath, near where we live. It’s apparently a popular spot for kids to come hang out, as many came and went during the time we were there. 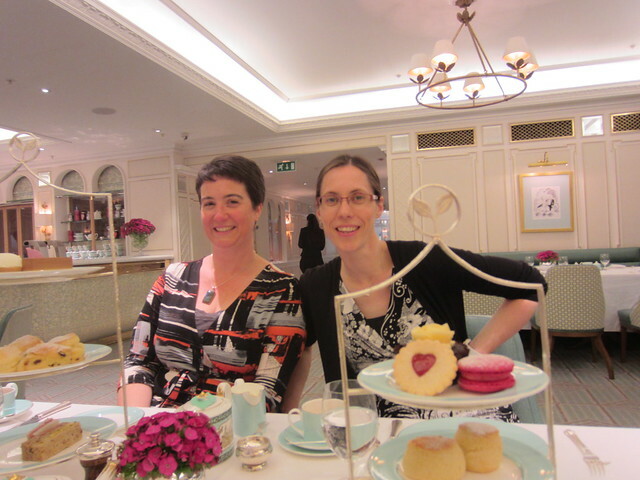 High Tea at Fortnum & Mason with my friend R. Photo taken by Zebula, who also got to come, as well as R’s eldest daughter. 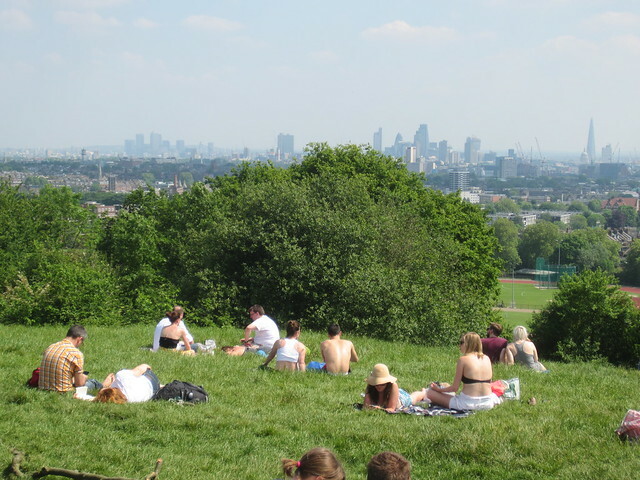 View of London from the top of the hill at Hampstead Heath. This park has a series of ponds, some of which are for bathing. The kids really, really want to come back here and go for a swim when the weather gets hot again. Conspicuously absent is evidence from Carrie’s visit in early April, which was lovely. It’s hard to believe we’re coming back in about two months. I feel like we’ve barely scratched the surface of stuff to see. And the bloom hasn’t fallen off the rose yet: I’m still in love with this city. At the same time, I’m itching to get back to my house, to see all my friends and family, and to be in my own space with my own stuff. And hopefully with gainful employment! But I will miss London. So much. 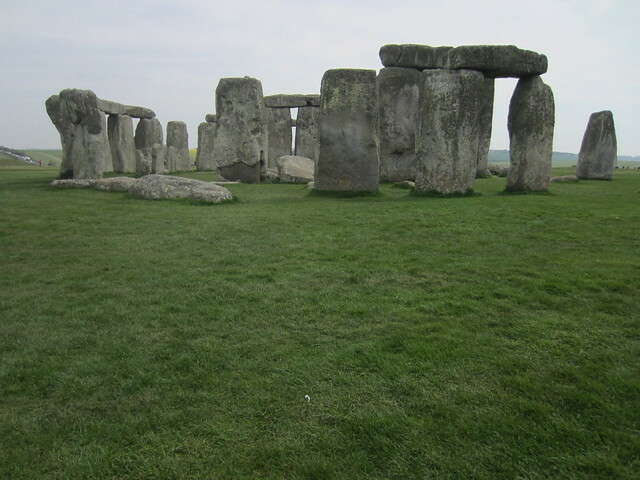 In case you need to see a zillion pictures of Stonehenge, click the links to my Flickr albums for March, April and May.